The special edition of farming simulator Farm Expert 2018 for Nintendo Switch which succeeded on mobile platforms last year with over 2 million installations now on Nintendo Switch. 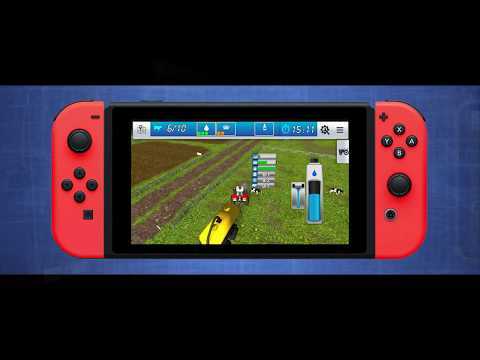 Farm Expert 2018 for Nintendo Switch includes over 20 unique agricultural machines and 4 open worlds, as well as over 50 hours of gameplay at the highest level of quality: driving the machines, managing the resources, a broad selection of agricultural activities. You can plow, fertilize, harvest grain, breed cows, grow fruit orchards, buy and sell resources. All of those features await in the most unique farm simulator that has ever appeared for mobile platforms. Farm Expert 2018 for Nintendo Switch was released on Switch 388d ago in the US and the UK. Notify me when Farm Expert 2018 for Nintendo Switch is available.